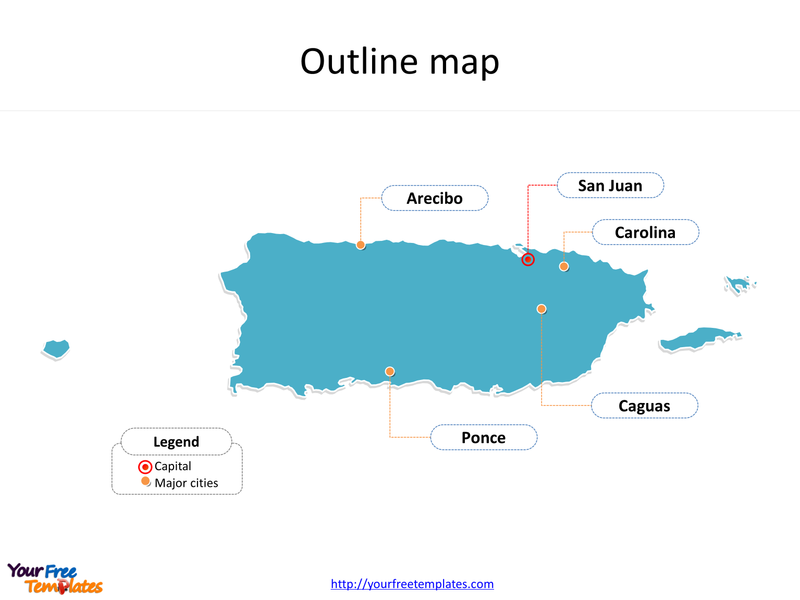 The territory of Puerto Rico map Template in PowerPoint format includes two slides. Firstly the Puerto Rico maps with outline is labeling with capital and major cities. Secondly the Puerto Rico maps with outline is labeling with major Municipalities. 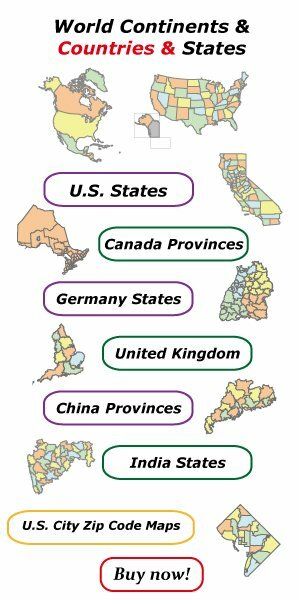 So our Puerto Rico maps PowerPoint templates have capital and major cities on it. They are San Juan, Carolina, Ponce, Caguas, and Arecibo. Finally the most populated Municipalities are San Juan, Bayamón, Carolina and Ponce. 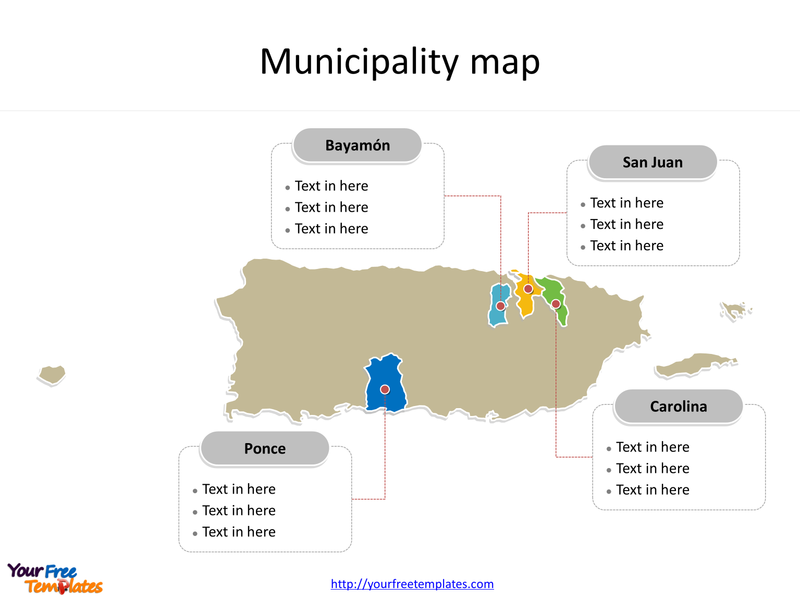 The Puerto Rico maps PowerPoint templates include two slides. Our Puerto Rico map is for the U.S. unincorporated territory of the United States located in the northeast Caribbean Sea of North America, approximately 1,000 miles (1,600 km) southeast of Miami, Florida. Firstly Puerto Rico includes the main island of Puerto Rico and a number of smaller ones, such as Mona, Culebra, and Vieques. Secondly its official languages are Spanish and English, though Spanish predominates. Thirdly The island’s population is approximately 3.4 million. Its capital and largest city is San Juan, other major cities including Carolina, Ponce, Caguas, and Arecibo. You can found them in our Puerto Rico maps PowerPoint templates. The most populated Municipalities in Puerto Rico State are San Juan, Bayamón, Carolina and Ponce. What is more, Puerto Rico’s history, tropical climate, natural scenery, traditional cuisine, and tax incentives make it a destination for travelers from around the world. The labels and shapes are layers of different groups. In a word, you can change the texts, colors, sizes, and add your charts. At the same time you can also refer to the fully labeled State of Puerto Rico in Wikipedia. Believe it or not, analysts from marketing research companies, consultants from professional firms think highly of our website yourfreetemplates.com. Most important of all, our maps can help to reduce their efforts and create good-looking maps.